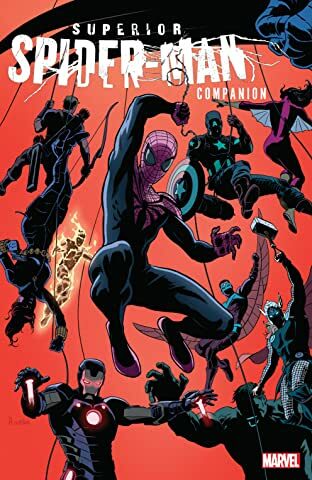 Collects Avenging Spider-Man #15.1 And #16-22, Daredevil (2011) #22, Superior Spider-Man Team-Up #1-12, Scarlet Spider (2012) #20 and Inhumanity: Superior Spider-Man. Otto Octavius has taken Peter Parker’s body, his costume — his life! — to become a Superior Spider-Man. But there’s one thing that comes with the suit that Otto didn’t count on: the team-ups! The Marvel Universe is about to meet a far-from-Friendly Neighborhood Spidey, beginning with…Mary Jane Watson?! But will Wolverine smell a rat? Will Daredevil sense trouble? And is Otto’s secret safe from the Secret Avengers? 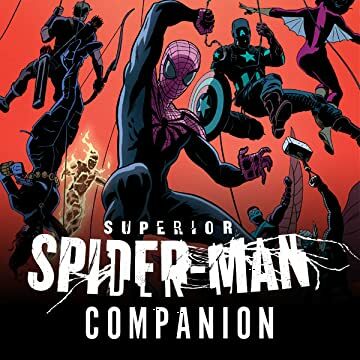 The Superior Spider-Man hunts the Chameleon on the S.H.I.E.L.D. Helicarrier, bears a deadly grudge against the Scarlet Spider and plays his part when Thanos’ forces attack — but what are his plans for the Sinister Six? Plus: encounters with the Hulk, the Future Foundation, Namor, the Punisher, Cloak and Dagger, and the Inhumans!